Another TV season has begun, and you know what that means: Time for another TV-themed content marketing post from the Grammar Chic blog! Our latest installment features a perennially revered, wildly addictive CBS legal drama—The Good Wife. Though not quite as flashy as a Game of Thrones nor as obviously marketing-centric as Mad Men, the show nevertheless has some lessons to impart to anyone and everyone looking to build brand loyalty via savvy, engaging content. 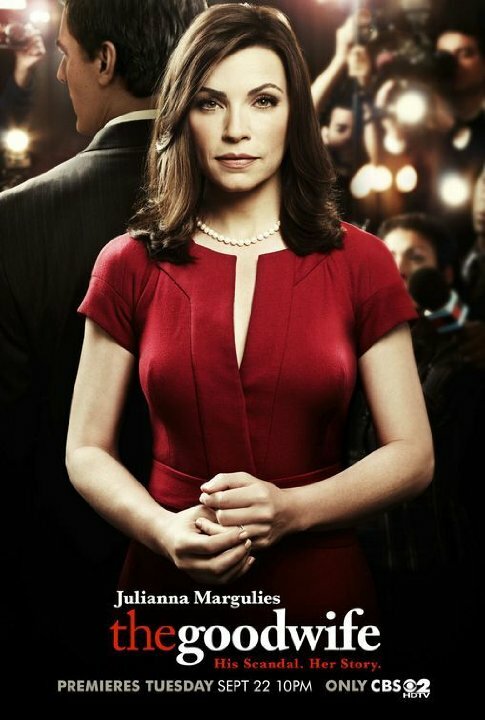 What exactly can The Good Wife teach us about content marketing? Well, gosh… where do we begin? “Consistency” is not a very exciting word—not a word that often sets toes a-tappin’—and in the world of TV it can almost be a bad thing. Shows like NCIS and CSI and Law & Order are certainly popular, but we all kinda know that those shows are stuck in their own various ruts; that procedural shows tend to follow a very exact formula in each and every episode, something that high-end shows like Breaking Bad and Orange is the New Black have consciously shied away from. The Good Wife almost falls between the two categories: It’s not nearly as formulaic as some shows are but it is a courtroom drama, and it does hit some familiar storytelling notes from time to time. And you know what? Maybe that’s not such a bad thing. Having some idea of what you’re going to get, week to week, offers comfort and appeal to long-time viewers—and the same principle holds true of content marketing, as well. Your Facebook followers and blog readers should have some idea of what they’re going to be getting into with regard to your content. It shouldn’t be predictable, but it should fit in with your brand identity, and there should be some kind of through-line that connects your various pieces of content—a shared point of view or common values. … and also keep people guessing. The flipside of the coin is that offering some real suspense and intrigue keeps people coming back for more. It’s certainly worked on The Good Wife, which may indeed be a courtroom procedural but still throws all kinds of curveballs to its viewers. (The current season opened with a main character behind bars—something that no fan would have predicted.) Your online content should be thoughtfully consistent, but it should also seek to offer some surprises, some twists on the formula and some tweaks on the script. Write on topics that are relevant to your brand, and adhere to a consistent set of values, but also experiment with different perspectives, media, formal structures, and so forth. Make the most of your media. One thing The Good Wife is routinely praised for is making the most of network TV conventions. The Good Wife is not Mad Men or Breaking Bad or even The Walking Dead: It does not air on cable, it is required to produce a large number of episodes each season, and there are plenty of limits on what the show can do. Within those parameters, though, the show does a superior job of surprising its viewers and of using TV drama tropes and trappings to its advantage. In the same way, you’ll have limitations in what you can do on Twitter, or on Pinterest, or what have you—but smart content marketers are able to know their platforms inside and out, to grasp all the rules and limitations, and to think up clever ways to subvert them. Help your A-listers to shine. No current TV show has such a deep bench of amazing, high-profile guest stars and supporting actors, and no show uses its guest stars quite so well. Michael J. Fox, Jerry Stiller, Nathan Lane, Rita Wilson, Jeffrey Tambour, and countless other names feature on The Good Wife, and they’re always given juicy roles they can sink their teeth into, without overshining the regular cast. In much the same way, it falls to content marketers to ensure that the bloggers and experts they’re quoting, retweeting, or interviewing are given a chance to shine, without detracting from their own overall message. Get better as you go. A final thought: The Good Wife is now two weeks into its sixth season—meaning it’s well past the point where the majority of shows are cancelled or throw in the towel. Critics and fans are almost unanimous in saying that the fifth season was the show’s best yet, or at least a strong contender—and that’s pretty rare. While most shows lose their luster and their passion over time, The Good Wife just grows more sophisticated, more masterful, and more exciting. Hopefully, your content marketing efforts do likewise. If they don’t, well: You know who to call. Grammar Chic, Inc. can be reached at http://www.grammarchic.net or 803-831-7444.